Hello Guyz,Blogger is one of the popular website that helps to design a new website. Blogger is powered by Google. So there are many points to care during the beginning of the blogger career and to be successful in blogging. So, if you are new to blogger then you should be aware of Google webmaster tool. It helps your blog to get indexed in popular search engines like Google. It increases the traffic on your blog. To become a member of Google webmaster tool, you just need to verify your blog ownership and have to submit your blog’s sitemap. Your blog’s sitemap tells Google about your blog and it’s content. 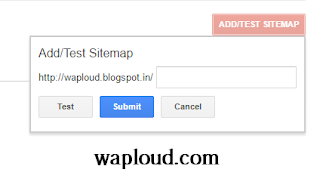 So here in this post we will provide you how to add blogger sitemap in Google webmaster tool.